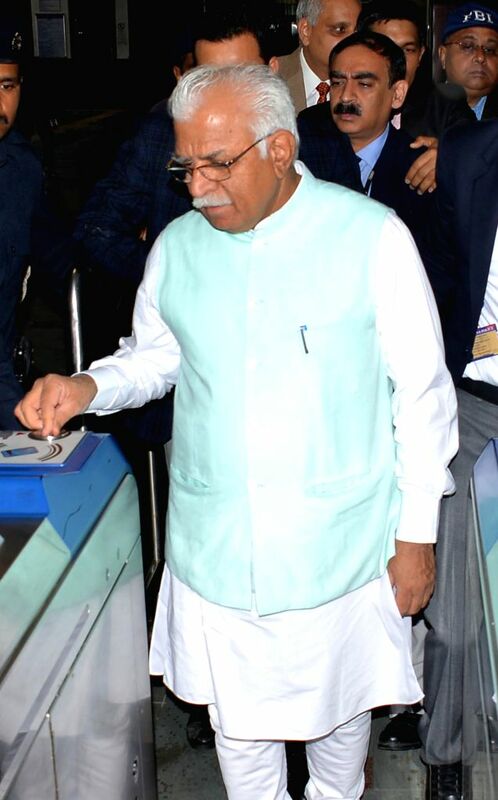 New Delhi: Haryana Chief Minister Manohar Lal Khattar checks out of Badarpur Metro station, Faridabad on March 3, 2015. 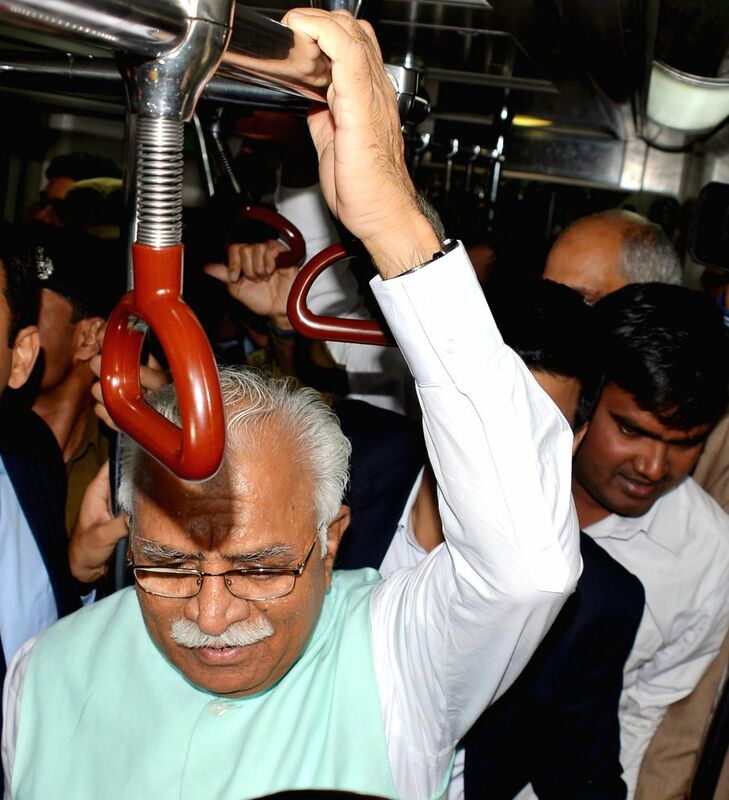 Haryana Chief Minister Manohar Lal Khattar during his metro journey from Central Secretariat Metro, Delhi to to Badarpur, Faridabad on March 3, 2015. 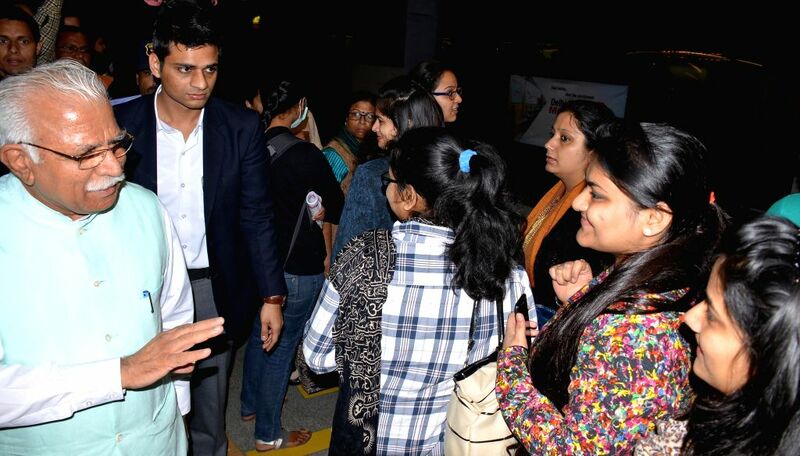 Haryana Chief Minister Manohar Lal Khattar interacts with the passengers during his metro journey from Central Secretariat Metro, Delhi to to Badarpur, Faridabad on March 3, 2015.